Team Pelfrey had an outstanding inaugural season in the 2011 Star Mazda Championship Presented by Goodyear with Connor De Phillippi and Nick Andries who finished 2nd and 3rd in the season championship, respectively. 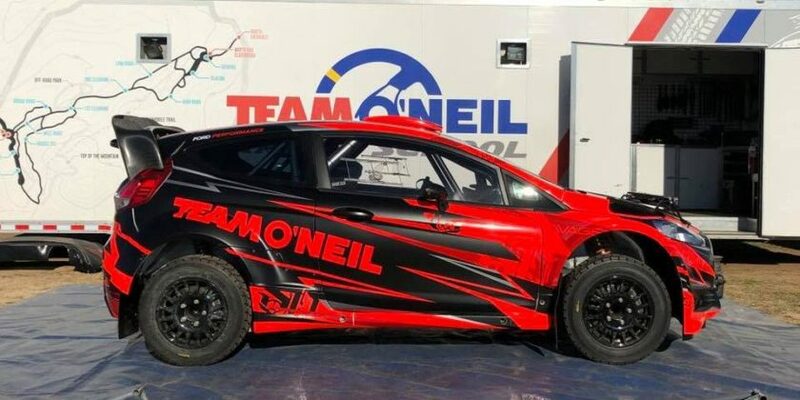 Now, they’re expanding their operations to a three-car effort for 2012 and have come loaded for bear in seeking the series championship. Earlier this off-season, the team signed Jack Hawksworth and Gustavo Menezes. Gustavo joined us for Episode 120 of the OpenPaddock Podcast to discuss his signing and expectations for 2012. Today, the team announced the signing of the champion of the 2011 Cooper Tires Presents the USF2000 National Championship Powered by Mazda season, Petri Suvanto. 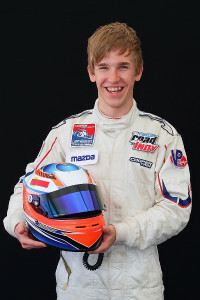 Petri spoke with us about his championship season not too long after the season-ending Baltimore race, and was already excited about the upcoming season and his scholarship for the 2012 Star Mazda season. You can listen to his thoughts on the 2011 championship in Episode 17 of our Inside the Helmet series. Petri tested with the team at the Mazda Road to Indy Fall Test on the Indianapolis Motor Speedway road course, and performed very well. He and his now teammate, Jack Hawksworth, were in the top three of the time sheets during every session. We have a full summary and session times for the Fall Test at IMS here. Petri is currently serving his home country of Finland, fulfilling his responsibility of performing a tour of National Service, but he’ll be back in time for the season opener on the Streets of St. Petersburg at the end of March. 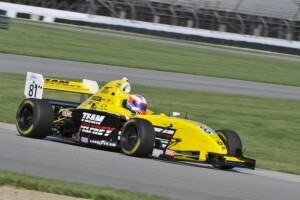 Team Pelfrey now is set to be a major championship challenger in the 2012 Star Mazda Championship with three strong drivers. I’ve been saying that I thought Sage Karam was my favorite for the driver championship this season, and he still is, but not by much. He’ll have a heck of a fight on his hands dealing with the Pelfrey trio, especially given how dominating Petri was in last year’s USF2000 season. While the grid sizes might not be as large as I’d prefer to see them in Star Mazda this season, we will see grids stacked very deep with talent, and the championship fight should be a great one to watch. ST. PETERSBURG, FLA. (January 20, 2012) – Team Pelfrey is proud to announce that Finnish rising star Petri Suvanto (LEFT), a convincing winner of the 2011 USF2000 National Championship, will complete its line-up in the quest for continued success in the Star Mazda Championship Presented by Goodyear. The team made a stunning series debut last March when Connor De Phillippi won the opening race at St. Petersburg, Fla., just a few miles away from its home base. De Phillippi maintained the momentum by adding three more race wins, and together with teammate Nick Andries claimed a total of three poles and 13 podium finishes en route to second and third positions in the drivers’ championship. The pair also finished first and second in the season finale at Mazda Raceway Laguna Seca to clinch the coveted Team Championship for Team Pelfrey. Suvanto will join American Gustavo Menezes, who finished eighth in the 2011 Star Mazda series as a rookie with Juncos Racing, and Englishman Jack Hawksworth, a race winner in last year’s Formula Renault 2.0 UK Championship, in a three-pronged attack on the 2012 title-chase. Suvanto (BELOW RIGHT, testing with Team Pelfrey at the Indianapolis Motor Speedway last October) was extremely impressive in winning last year’s Cooper Tires Presents the USF2000 National Championship Powered by Mazda title as a rookie and is now able to reach one step closer to his goal of competing in the IZOD IndyCar Series, courtesy of the Mazda Road to Indy scholarship ladder. “It feels great to finally announce that I will be racing for Team Pelfrey,” said Suvanto, 19, who is currently completing his mandatory National Service in his native Finland. 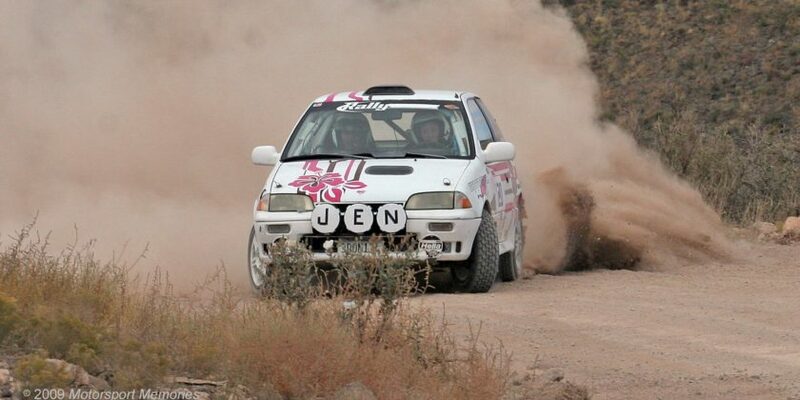 “It’s been very difficult to hold back the exciting news for so long while we finalized all the details! I have had a chance to get to know the team a little bit over the winter and I’m very excited to work with such a professional group of people again. Once his National Service is completed, Suvanto will join the team in a busy schedule of testing in preparation for the first race of the season which will be held in conjunction with the IZOD IndyCar Series opener, the Honda Grand Prix of St. Petersburg, on March 25.